WASHINGTON (AP) — The government’s massive collection of Americans’ phone records is drawing protests and lawsuits from civil liberties groups, but major legal obstacles stand in the way. Among them are government claims that national security secrets will be revealed if the cases are allowed to proceed, and Supreme Court rulings that telephone records, as opposed to conversations, are not private to begin with. Justices have written recently about the complex issues of privacy in the digital age, and the high court could have the last word on challenges filed by the American Civil Liberties Union and others. The Obama administration has said the collection of phone records — telephone numbers and the time and length of calls — is necessary to protect Americans from terrorism and that it does not trample on their privacy. 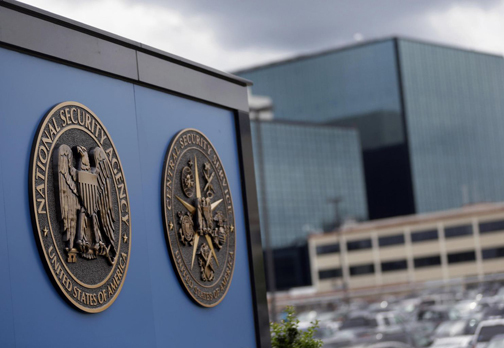 The National Security Agency collects millions of phone records from the United States each day, but says it only accesses them if there is a known connection to terrorism. The ACLU this week filed the most significant lawsuit against the phone record collection program so far. The suit demands that the courts put an end to the program and order the administration to purge the records it has collected. Conservative lawyer Larry Klayman also has filed suit over the program. Before either suit gets a full-blown court hearing, the administration could try to employ two powerful legal tools it has used in the past to block challenges to closely held surveillance programs. In February, the Supreme Court shot down an effort by U.S. citizens to challenge the expansion of a surveillance law used to monitor conversations of foreign spies and terrorist suspects by finding that the Ameri­cans could not show that the government would eavesdrop on their conversations. In legal terms, they did not have standing to sue, the justices said in a 5-4 decision. The ACLU and Klayman both say they are or were customers of Verizon, which was identified last week as a phone company the government had ordered to turn over daily records of calls made by all its customers. In so doing, they said it is a simple matter of fact that records of their calls have been seized by the government. “We meet even the standard the government has been foisting upon the courts for the past decade,” said the ACLU’s Jameel Jaffer. But American University law professor Steven Vladeck said the challengers might face a different problem. “They’re not suing Verizon. They’re suing the government for something a third party did. And so the issue is not their ability to prove that their communications were involved. It’s how they can object to a third party’s cooperation with the government in a suit against the government, rather than the third party,” Vladeck said. Another issue the administration could try to use to derail the suits is the jeopardy to national security that would result from allowing them to proceed, the so-called state secrets doctrine. Seven years ago, allegations that phone companies were allowing the government to siphon huge quantities of customer data without warrants led to dozens of lawsuits against the companies and the government. In the lone surviving case against the government, James Clapper, director of national intelligence, said that the government risks “exceptionally grave damage to the national security of the United States” if forced to fight the lawsuit. U.S. District Judge Jeffrey White in San Francisco has yet to say whether the case can continue, and the Justice Department has asked for a delay of a month now that the secret court order to Verizon has been revealed. Whether the government will maintain its “state secrets” defense in the California case or attempt to use it in the new suits is unknown. But courts almost always side with the government when it makes the claim, and the Supreme Court has shown little appetite for revisiting its 60-year-old ruling upholding the state secrets doctrine. Neither suit addresses the government's recently revealed surveillance of Internet activity, known as PRISM. The Internet program allows the NSA to reach into the data streams of U.S. companies — Facebook, Yahoo, Microsoft, Google and others — and grab emails, video chats, pictures and more. Just how much the government seizes is unclear, but Clapper says it is narrowly focused on foreign targets. If the phone record lawsuits clear whatever legal hurdles the government seeks to put in their path, there remains a line of high court cases that casts doubt on the privacy claims raised by the ACLU and by Klayman. The Constitution’s ban on unreasonable searches and seizures clearly applies to telephone conversations. In 1967, the court said authorities ordinarily need to persuade a judge to issue a warrant before they can listen in, based on significant evidence that a crime has been committed or is underway. But phone records are different, the court said in Smith v. Maryland in 1979. “All telephone users realize that they must ‘convey’ phone numbers to the telephone company, since it is through telephone company switching equipment that their calls are completed. All subscribers realize, moreover, that the phone company has facilities for making permanent records of the numbers they dial, for they see a list of their long-distance (toll) calls on their monthly bills,” Justice Harry Black­mun wrote in rejecting the claim police need a warrant to obtain phone records. Fast forward to 2012, and some members of the court appeared to recognize that technology may have altered privacy concerns. In separate opinions in last year’s case involving a GPS device used to track a criminal suspect for four weeks, two justices described how advances in technology can shake up Americans’ expectations of privacy. Sotomayor suggested that the court may need to revise its 1970s-era views about the privacy of information that people voluntarily hand over in what otherwise seem to be closely held transactions.